We have developed a dependable blending system which ensures constant quality mixing of raw/cement/flyash material which is one of the major requirements for optimized the material storage for kiln operation/packing. Backed by our years of industry experience, we are betrothed in presenting an excellent quality of Aeration System. This water treatment system is based on membrane technology that eliminates approximately 99.5 % salt from the water. 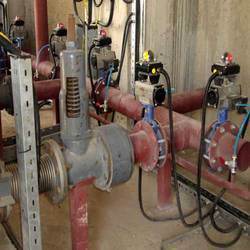 Such procedure helps in making the water suitable for drinking as well as for industrial use. EDI Module Air™ System is ideal for applications where online system reliability and operating performance is mandatory. The system allows individual grids to be installed, accessed, or removed without draining or taking the reactor out of service. We provide high quality range of Aerator Cone. This is a multilayer cone-shaped oxygen system is excellent in terms of oxygen transfer rate and its mixing function as air bubbles are evenly created across the whole area due to the triangle pitch method. Our range is highly demanded and can be availed at market leading prices. We offer Aeration Equipments. The range of aeration products include aerators for oxidation of dissolved iron, mechanical aerators for pond aeration, and diffused air systems for biological treatment. 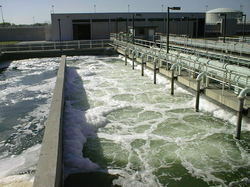 We provide aeration blower for wastewater treatment, pond aeration and for all other aeration needs. Matching up with the ever increasing requirements of the customers, our company is engaged in providing Aerator Dome. Premier Tech Aqua Systems India Pvt. Ltd.
With our in-depth knowledge of this domain, we are actively engaged in offering an excellent quality assortment of Aeration System.